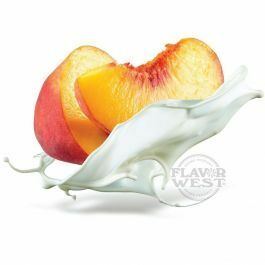 Peaches and Cream flavor profile is a mouthwatering creamy peach. A drop of peaches and cream flavor gives top quality and great taste in your creation. Type: Peaches and cream Water Soluble Flavoring. Ingredients: Natural and Artificial Flavoring, Propylene Glycol and Ethanol. USP Kosher Grade Flavoring. Usage Rate: 15-20% for E-use. Flavor Suitability: Suitable for drinks, beverages,ice creams, lip balms and more. Specific Gravity: 1.01 No Refunds on Flavoring.